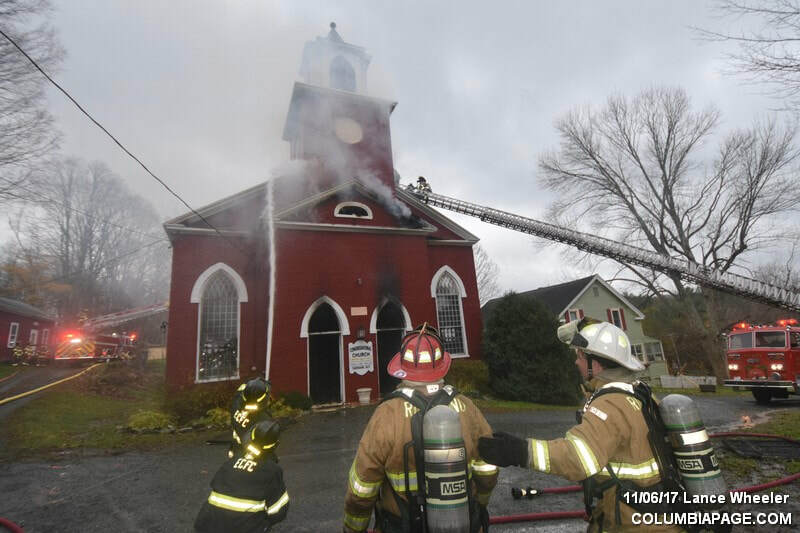 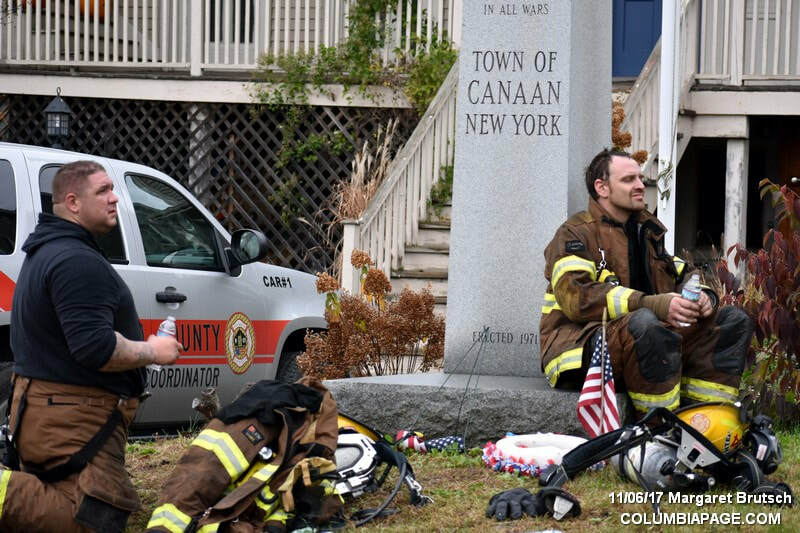 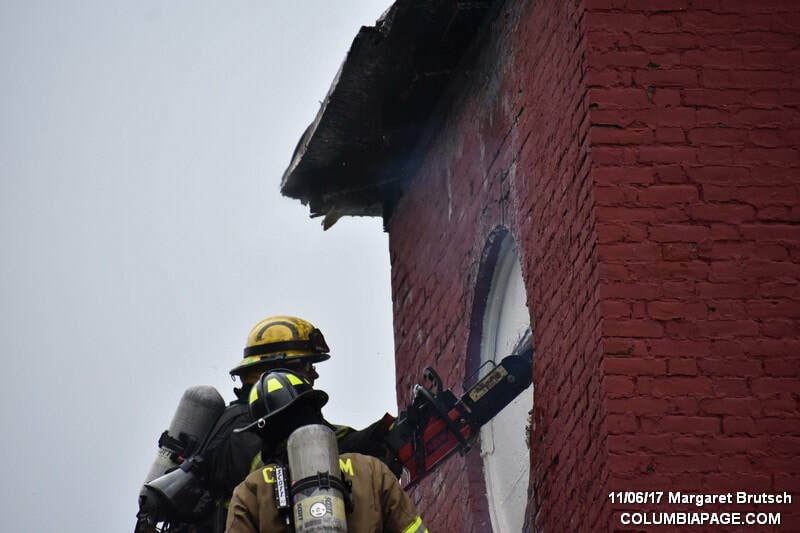 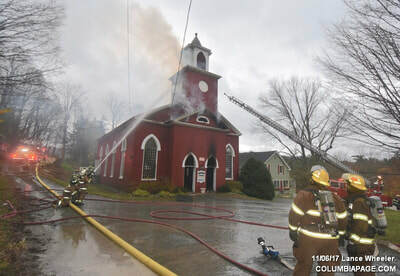 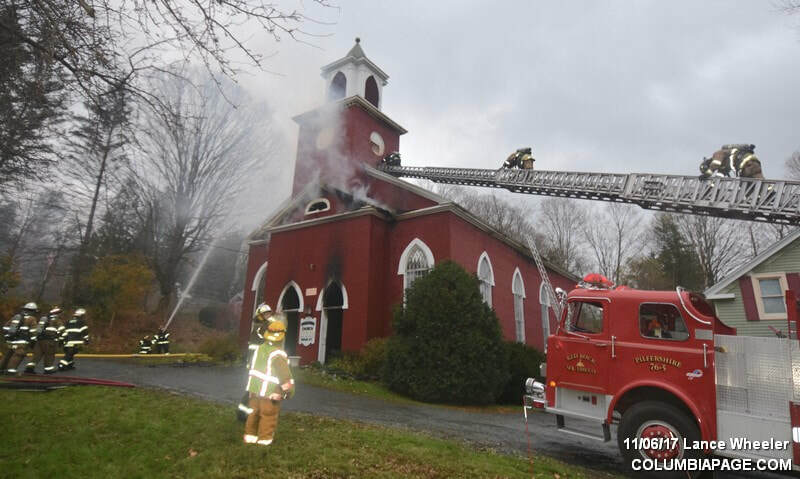 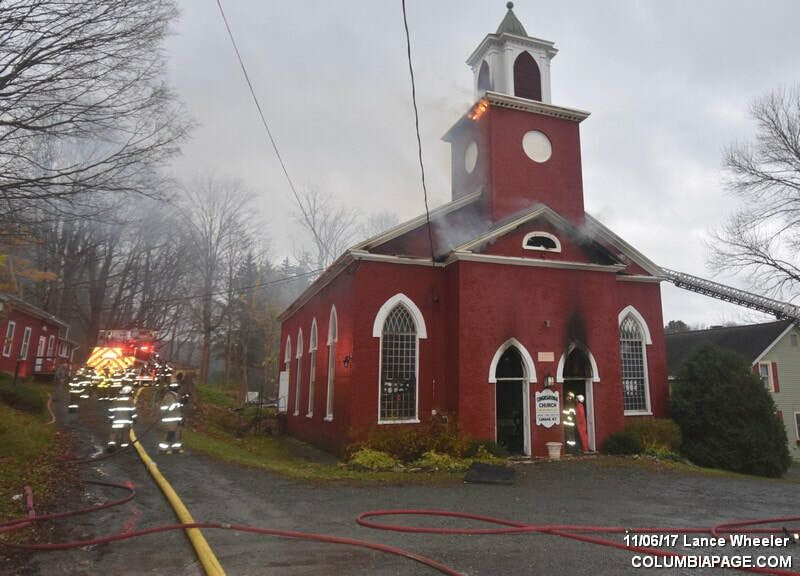 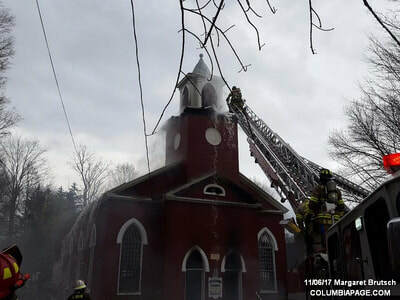 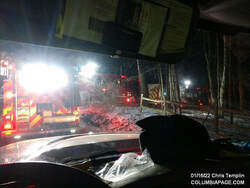 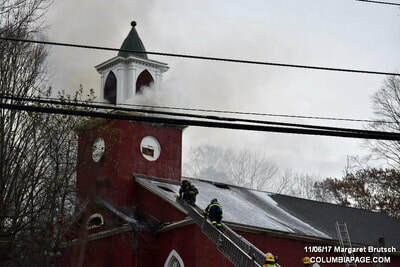 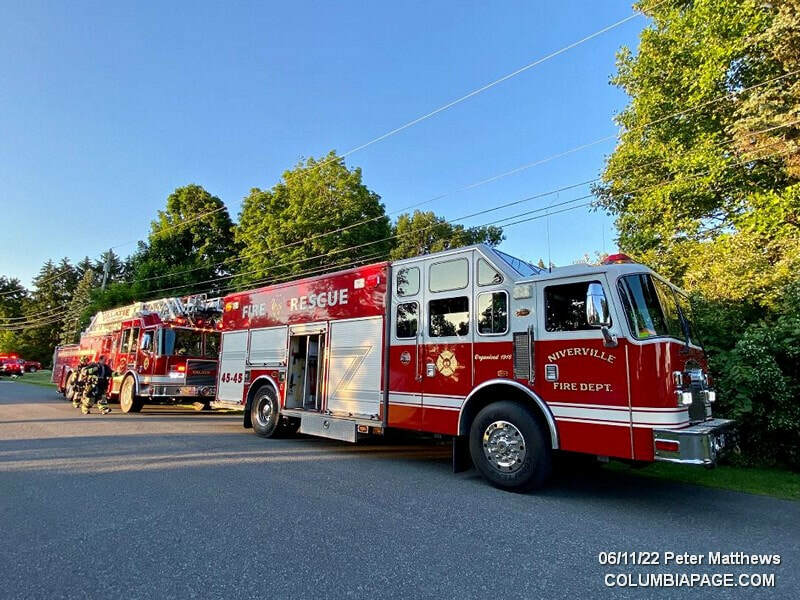 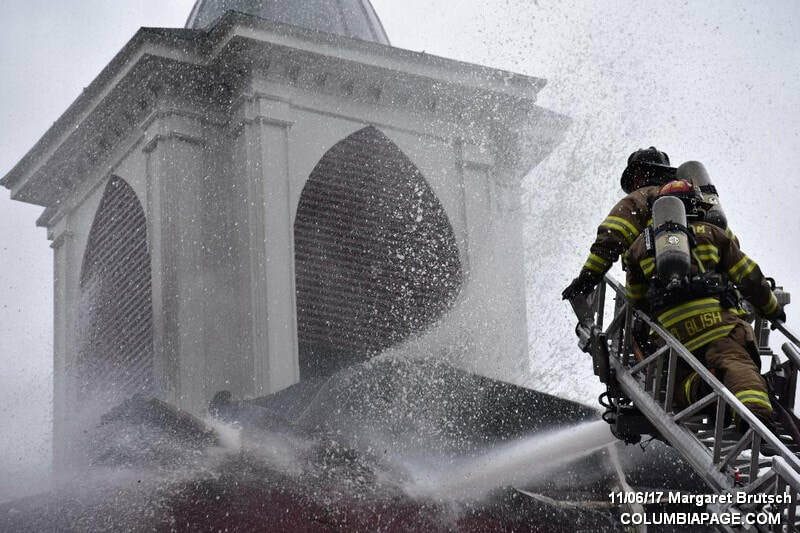 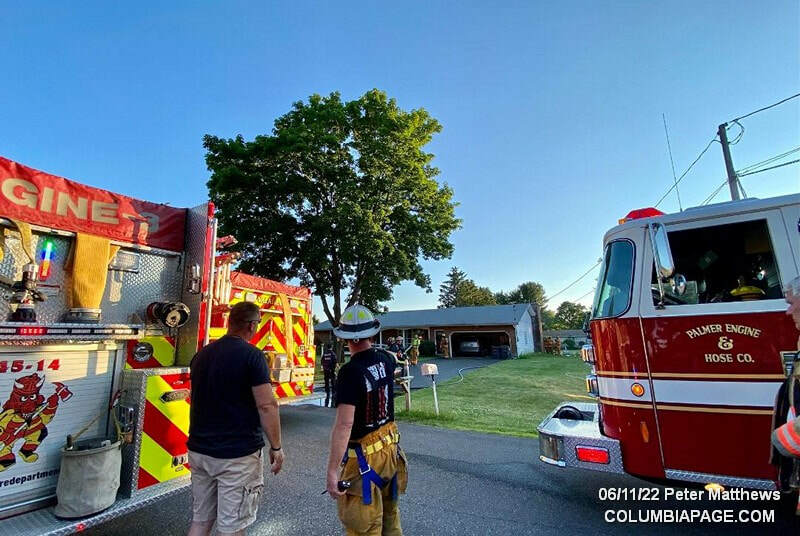 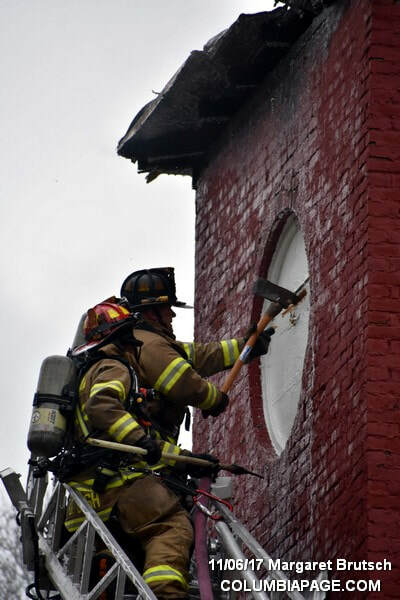 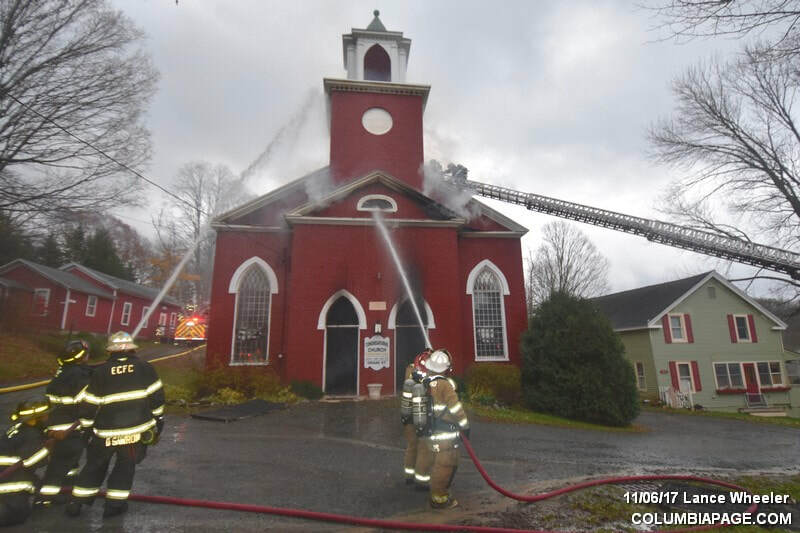 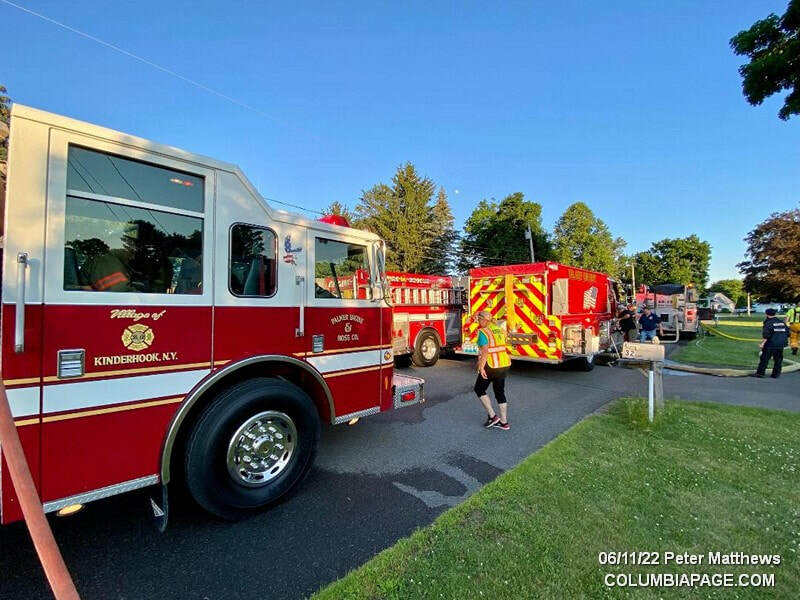 Columbia County 911 dispatched the Canaan Task Force and Chatham Rescue at 5:38am for a reported structure fire at the Canaan Congregational Church located at 1670 Route 5 in the Town of Canaan. 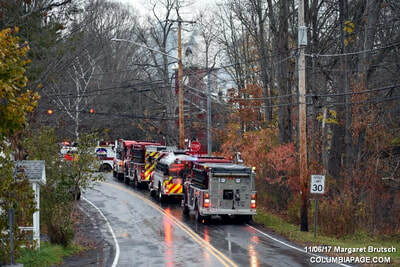 This initial response brought firefighters from Canaan, East Chatham, Lebanon Valley and Red Rock to the scene. 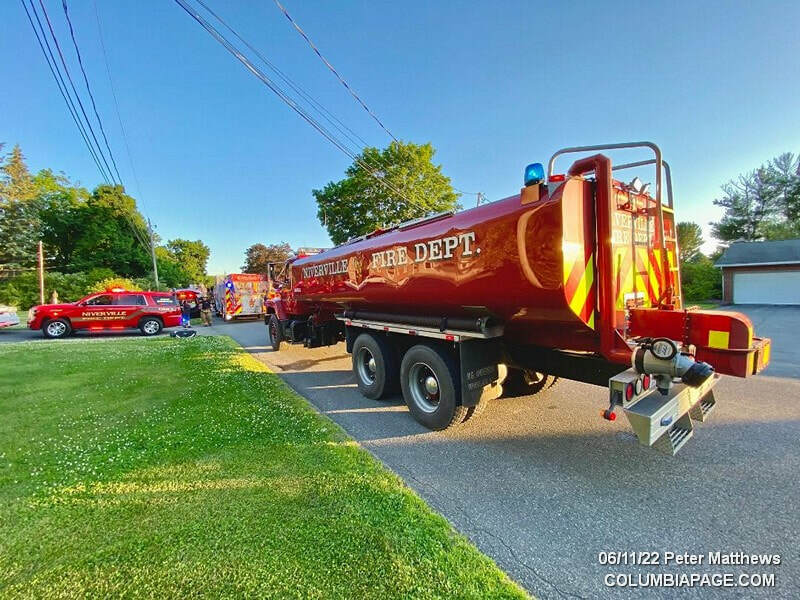 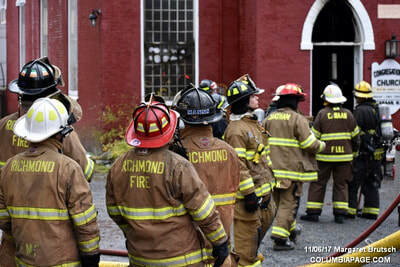 Command requested additional mutual aid from Richmond Massachusetts and then requested a Battalion Five tanker response. 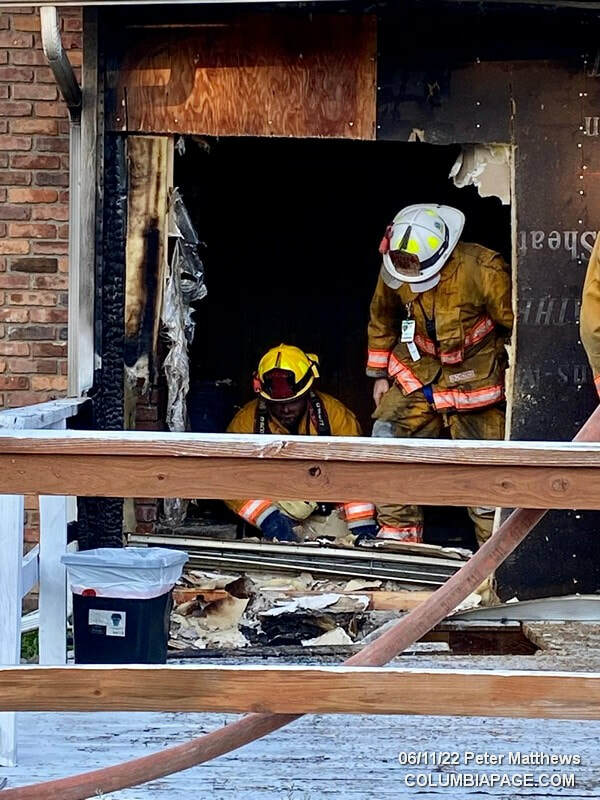 This brought additional firefighters from Niverville, Austerlitz Fire District, North Chatham and Tri-Village to the scene. Command later requested Chatham to the scene. 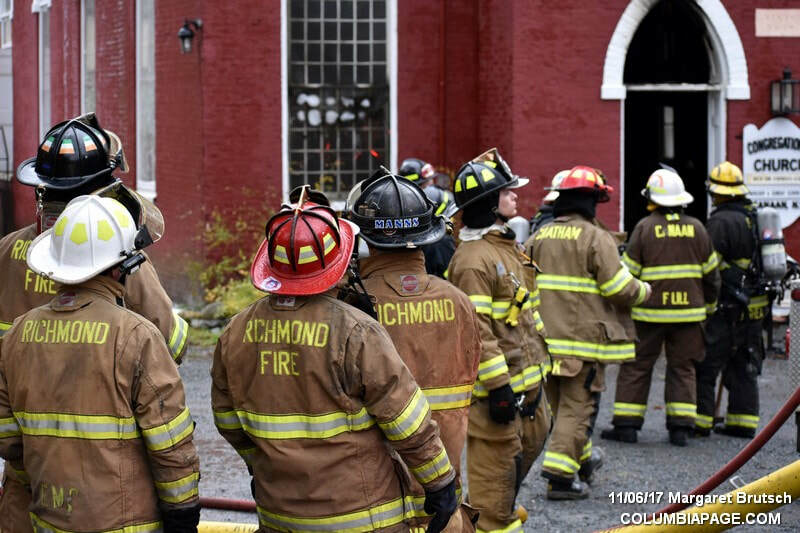 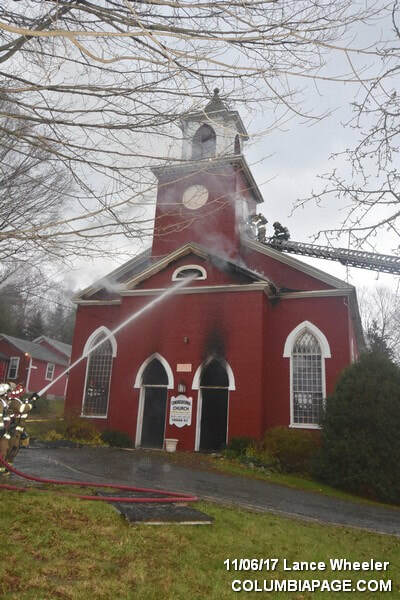 The church sustained extensive damage and the cause is under investigation. 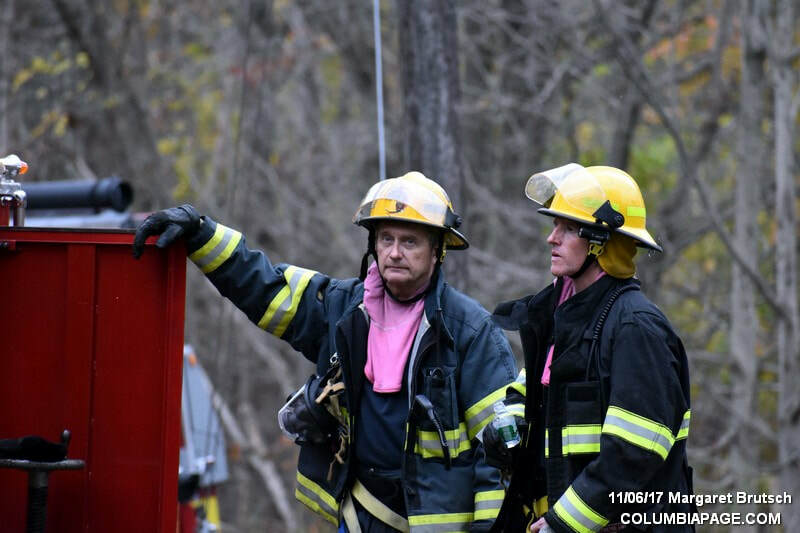 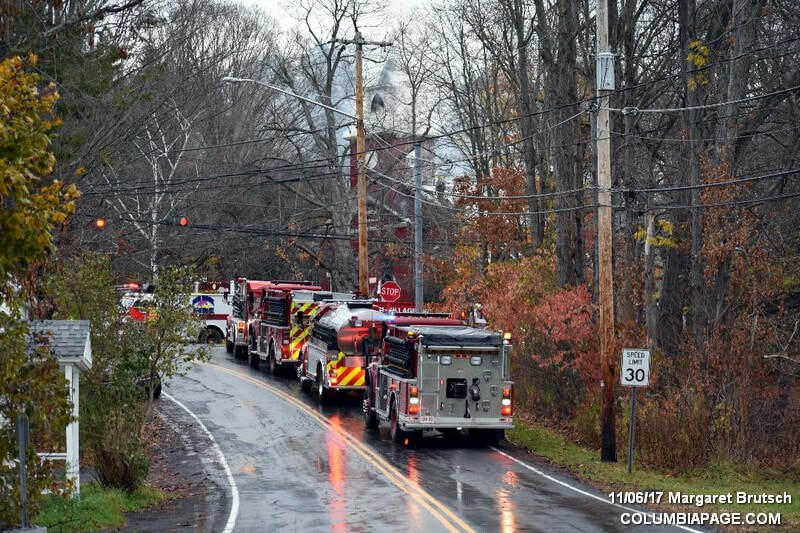 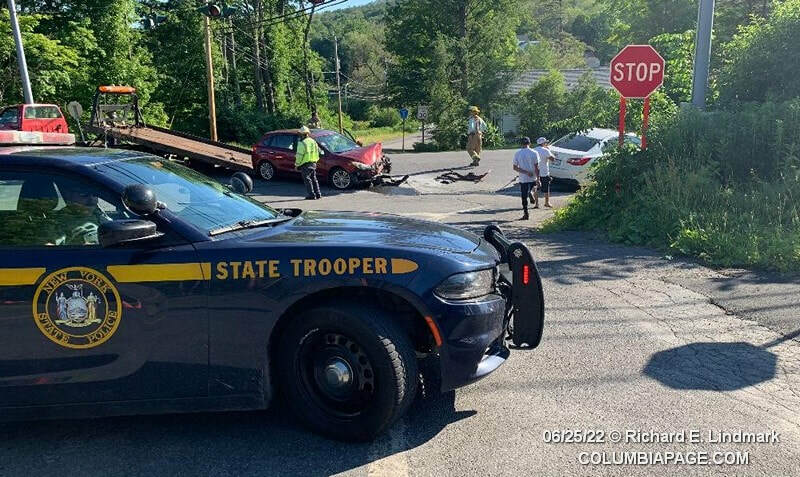 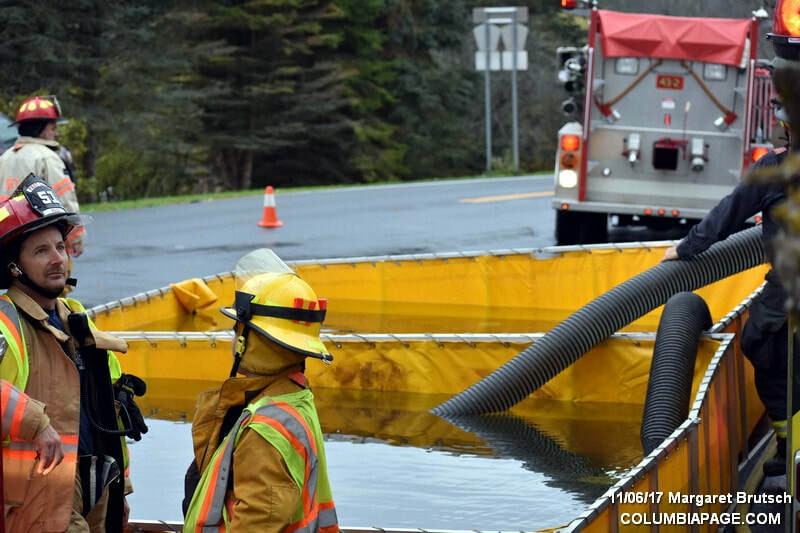 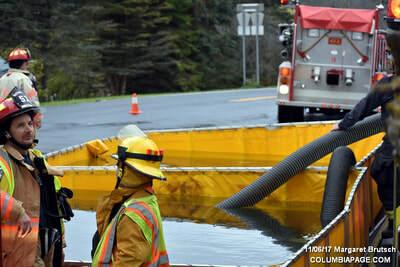 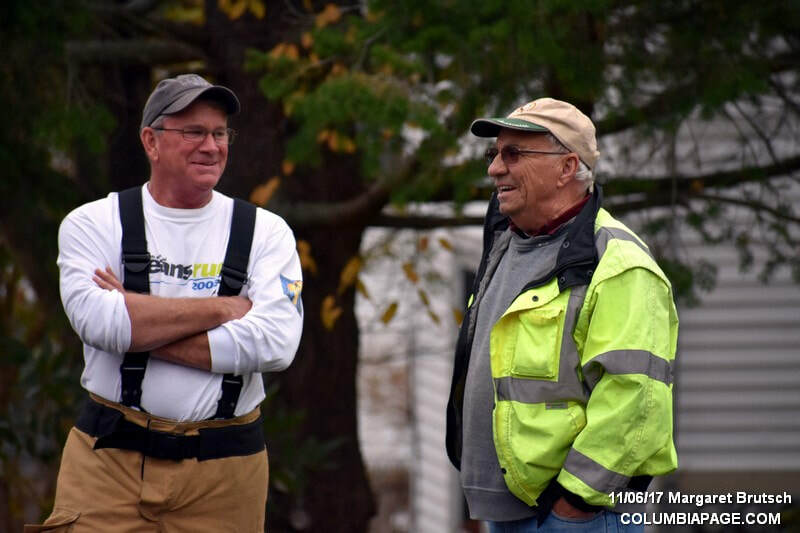 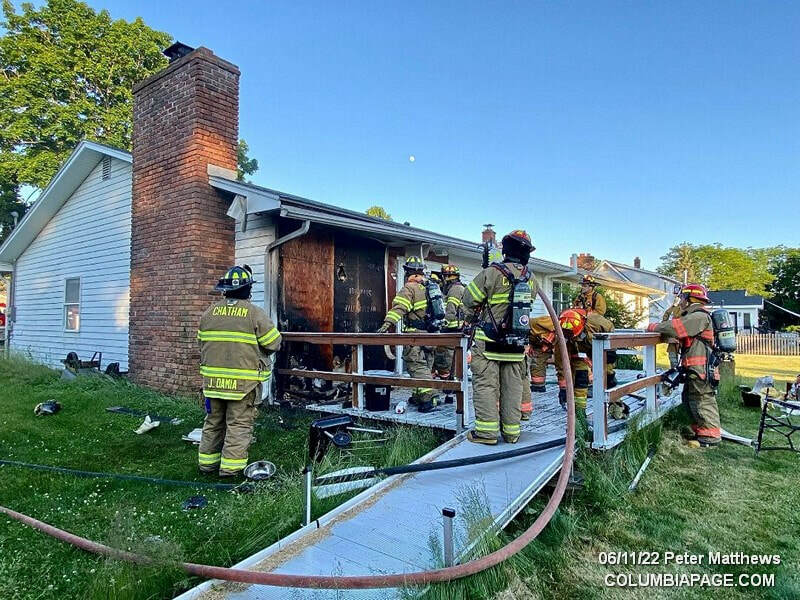 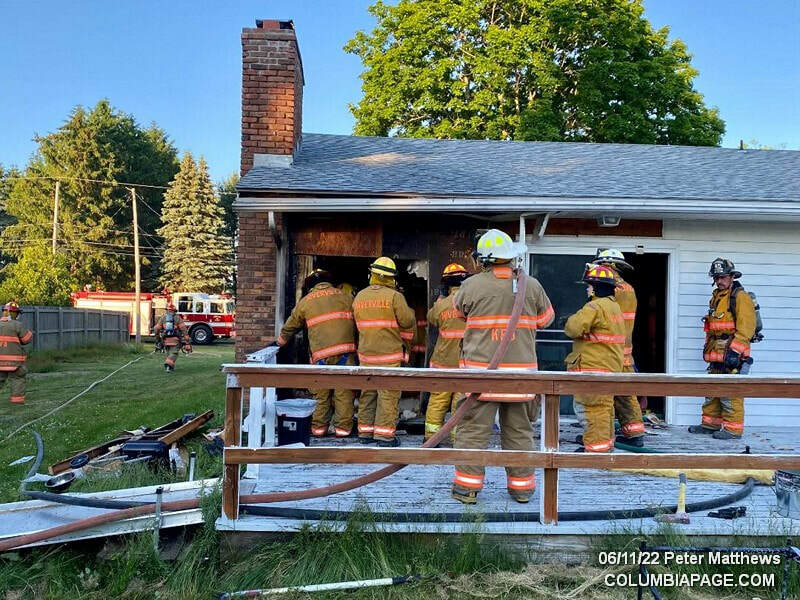 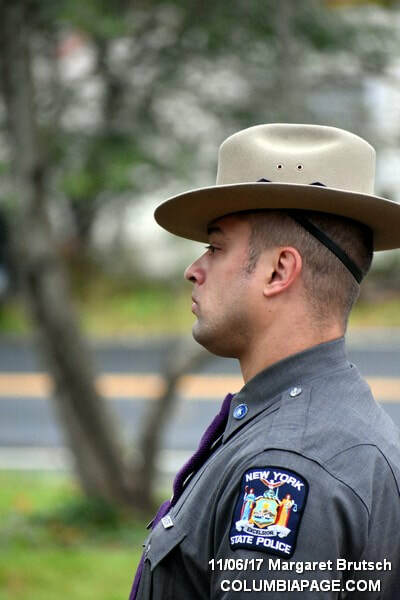 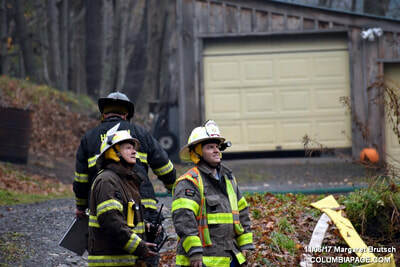 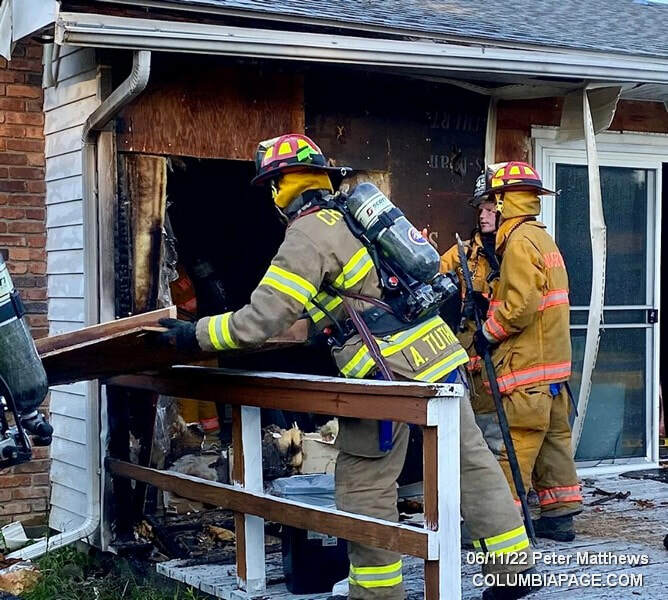 The Columbia County Fire Coordinators Office, New York State Police, Columbia County Sheriff's Department, Columbia County Cause & Origin Team and New York State Electric & Gas were on the scene. Town of Canaan Building Inspector was requested to the scene. 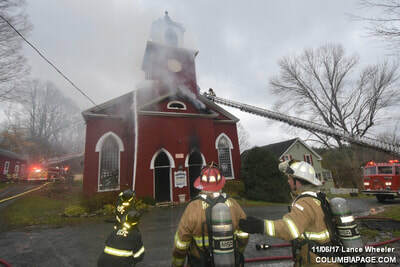 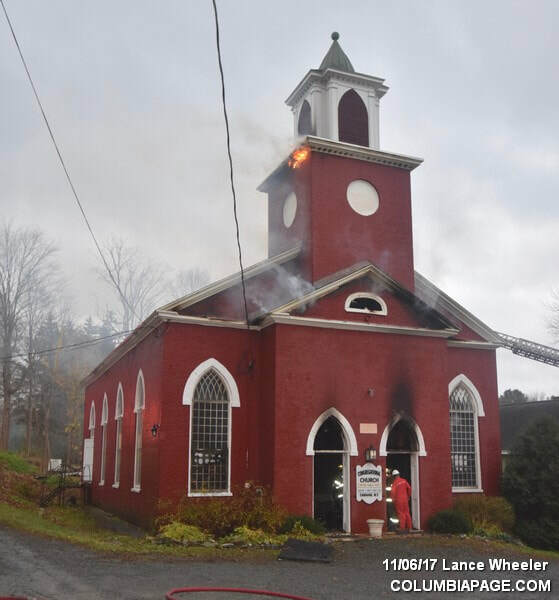 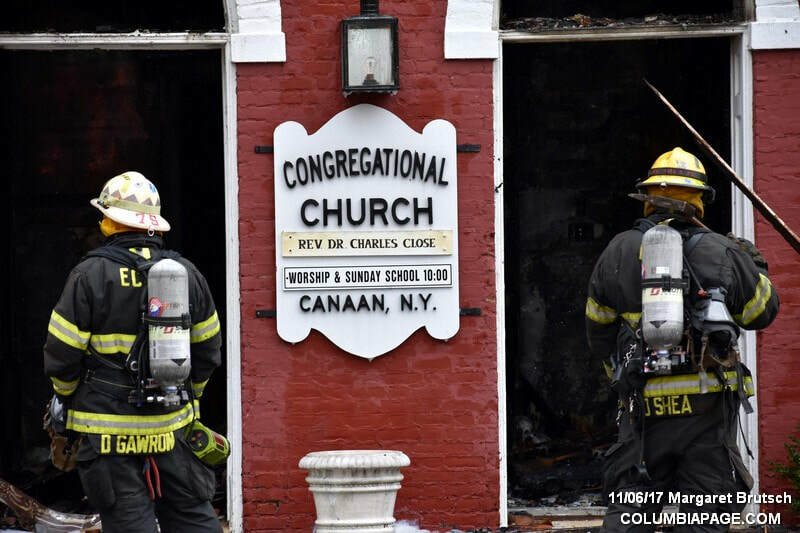 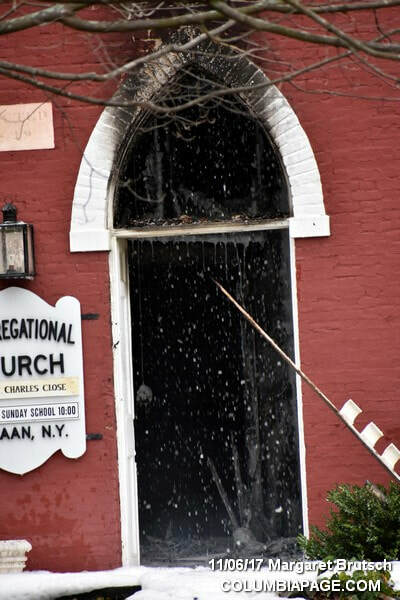 Canaan Fire Chief William Wallace reported the fire to be electrical and started in the vestibule area of the church. Firefighters were back in service at 1:16pm.